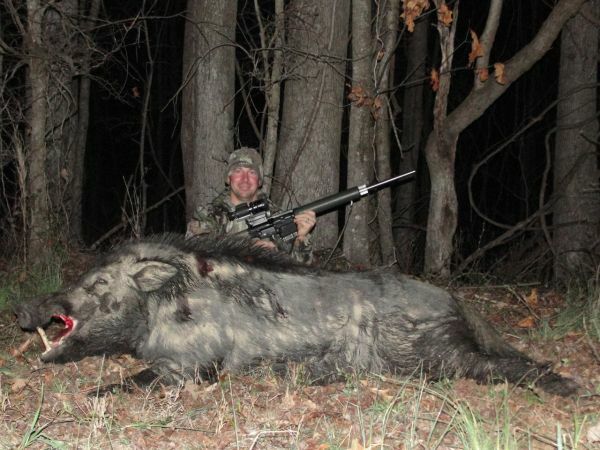 Here is a picture of a giant hog that I killed earlier in the year. It was a hunt that I will not soon forget. I hunted this guy for a month solid before dropping the hammer on him. Once I got my first trail cam picture of this fella I knew that I wouldn't quit until he was in the bag!